...that Eytons' Earth, Private Stock is now available? It is believed that all life began from the vast mineral sources of the land and the sea. No one has explained satisfactorily the marvel of the creation of life. Because the components of the structure of living organisms is known, it becomes obvious what is needed to maintain that life properly. Trace mineral elements, know as a micronutients, are substances of which only minute amounts are essential to life. Trace minerals become catalysts to speed the rate of chemical reaction to create movement. This is one of the most striking properties of living matter. Trace minerals activate the enzyme systems and biological functions that underlie nearly every manifestation of life. The tissue of higher organisms, such as the human body, are made up of vast numbers of cells that have relinquishes some of their independence in order to function together as a coherent, unified whole. It is believed that the trace minerals are the messenger elements vital for the development and normal functioning of a higher form of life which depend on the exchange of information among their constituent cells. Less appreciated is the fact that many trace minerals contribute significantly to establishing the polarity or energy of the cell and the surrounding membrane in order to maintain an internal environment that is different from the external one. "Most of the health problems underlying the leading causes of death in the Unites States could be modified by improvements in diet. The highest death rate areas generally correspond to those where agriculturists have recognized the soil as being depleted for several years. This suggests a possible relationship between submarginal diets and health of succeeding generations." It is evident that trace minerals must be found in other sources than in foods. 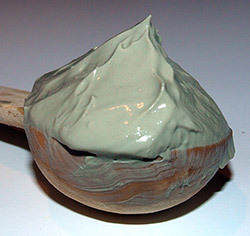 Clay or montmorillonite is the source of most commercially produced trace mineral supplements. 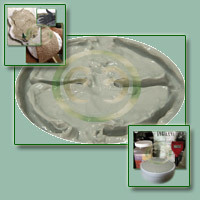 ...The magnetic field [ of the clay ] has different qualities to it. When an electrical field is in action, there is a positive and negative effect. A negative ion field takes on more electrons, while a positive field gets rid of some. The negative ion field seems more compatible with human tissue than a positive one. Negative charges contained in negative ions seem to be associated with healing, with feelings of well-being and changes in physiology. Extensive research in bona fide institutions confirms the benefits of active clay trace minerals to the biological engineering that occurs at the cellular level. 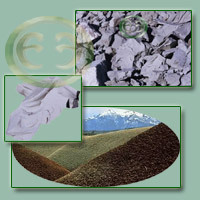 Modern soil cultivation practices have caused serious mineral depletion in the food supply. 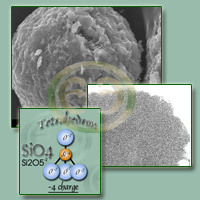 Trace mineral supplementation is more necessary than ever before to protect the cell in our chemicalized environment. The daily intake of trace minerals should be universally accepted. What to contsider doing if your surgeon wants to extract your nail, put pins in your bone, and scrape your finger out with a sharp scalpal ( ..and you don't want to ): A broken, infected finger cured with healing clay, ozone therapy, and silver.